the early-to-mid sixties. 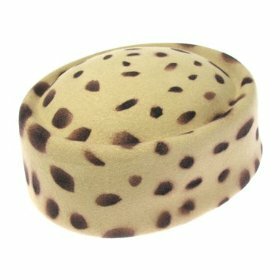 Pillbox hats were doomed for extinction, but the upscale image of leopard skin design is still a king in today’s high-fashion jungle. of all the Old World cats. Yet leopard print is not the only spotted wild animal pattern. rosettes. Its head and legs have solid black spots and the belly is usually white. markings are bigger and irregular, and somewhat resemble those of a large python. flanks and white fur on its belly, chest and chin. black-colored cat that people identify as a black panther. polka-dots that run all over its body. and bar-shaped spots covering its body. 3. Cloud Leopard, Snow Leopard. Now, which of these patterns best describe the Leopard in you? soon. I want to encourage yourself to continue your great job, have a nice weekend! Very useful info specially the closing section.